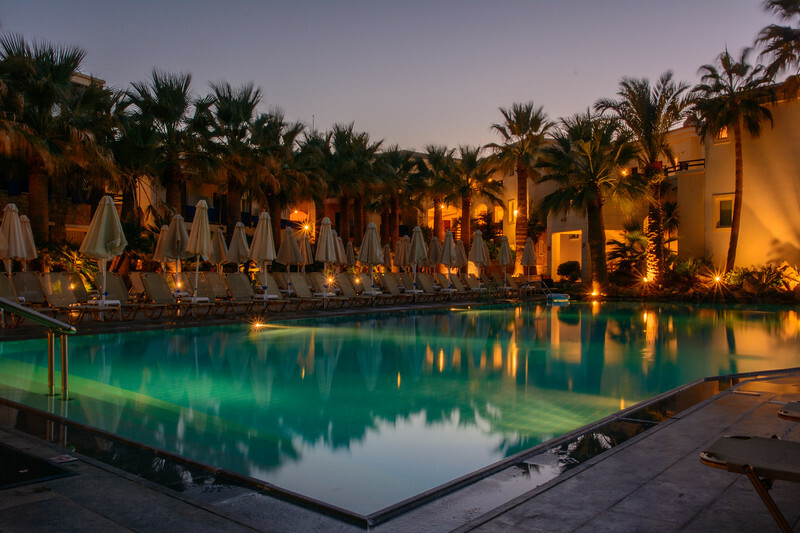 On the evening at our stay on Crete, I took a picture of the pool by night. Together with the palms and the lights, it was super cool. It was the last day of our first family holiday and all of us enjoyed it so much that my daughter is asking once a week when we will have something like this again. So we booked another trip to Crete this year.